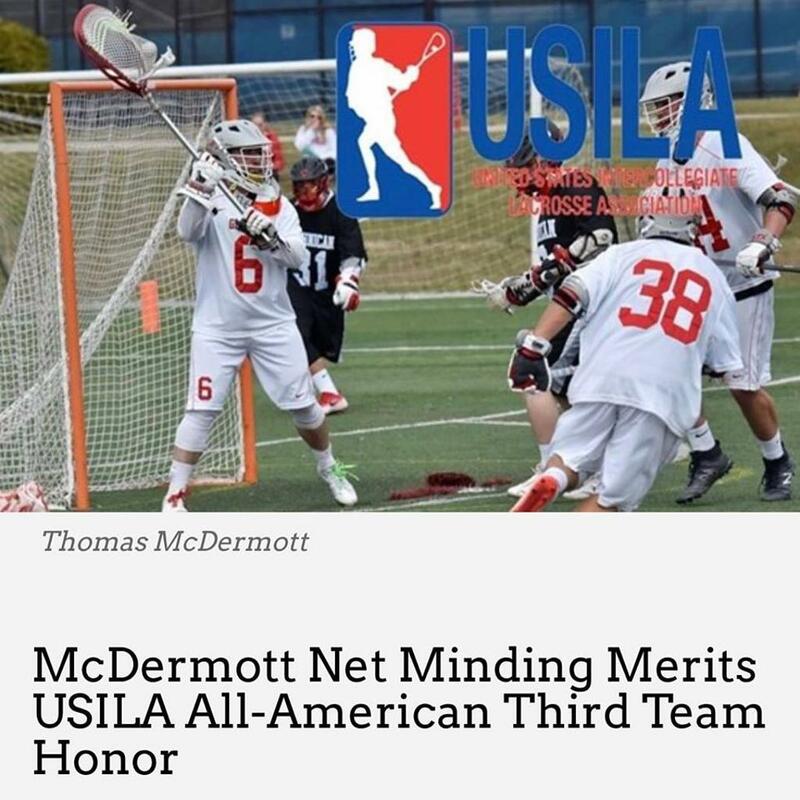 Perry, N.Y. – (5/24/2017) – A few weeks removed from earning the 2017 East Coast Conference (ECC) Goalkeeper of the Year award and All-ECC First Team honors, Chestnut Hill College senior Thomas McDermott (Ridley, Pa.) has been named to the United States Intercollegiate Lacrosse Association (USILA)/Nike Division II All-American Team. McDermott was one of five All-ECC honorees from Chestnut Hill College as the Scarlet and Gold net minder finished the regular season with an 8-4 overall record and ranked third in the nation for saves (138), eighth for save percentage (.603), and 24th in saves-per-game (11.5). He was a four-time ECC Defensive Player of the Week (5/10, 3/27, 3/14, 2/28) and recorded nine games of 10 saves or more, including a career-high 19 saves in the Griffins' 7-6 overtime triumph at #16 LIU Post on March 11. There, McDermott also recorded the Griffins' first keeper goal in program history with a long distance missile at 11:01 (5-3 LIU) of the third quarter. McDermott is a proud HEADstrong Lacrosse Alumni. ©2019 Headstrong Foundation- Splash / SportsEngine. All Rights Reserved.